Download Protective Underwear Men Sizing Chart.pdf. AllegroMedical.com presents The PER-FIT Underwear. 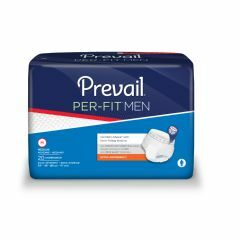 Prevail® Per-Fit® Underwear for Men are made just for men, form-fitted with a stretch material for the ultimate in cool, comfortable protection. Branded elastic waistband and printed stitching make them look and feel more like men’s underwear. Prevail® Per-Fit® Underwear for Men is specifically-designed for a comfortable fit. Best &amp; Most Comfortable Undergarment I have found!